Here's That ALL-AMERICAN LAUGH TEAM! 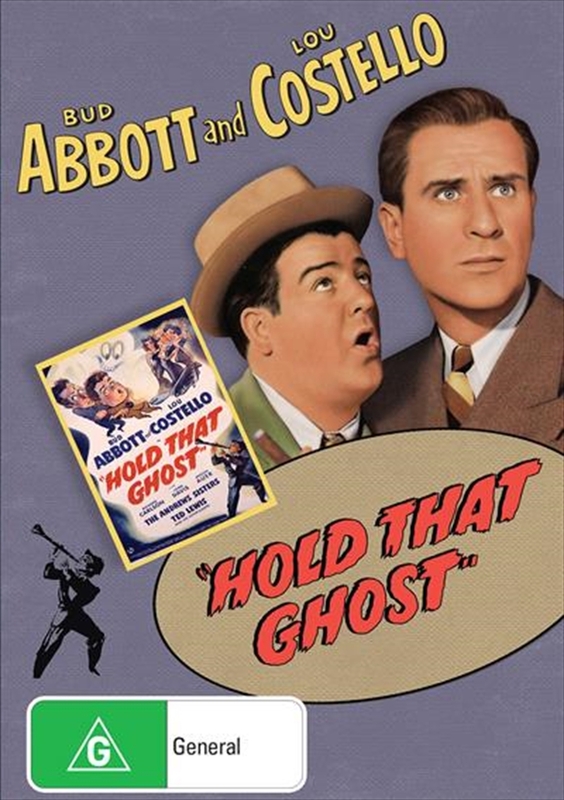 The third Abbott and Costello movie of 1941, and their funniest of all-time, was rushed into release to capitalise on the wild box office success of their first two starring films, Buck Privates and In The Navy. In Hold That Ghost, Bud and Lou come into an inheritance: an abandoned roadhouse formerly belonging to a rubbed out mobster. This choice piece of real estate is also supposedly the hiring place for the mobsters illicit loot. When they arrive to claim the inheritance all mayhem breaks loose. People are mysteriously murdered. Lights go on and off. Walls go inside and out. Moans and shrieks are heard. And spooks and ghosts are running rampant.